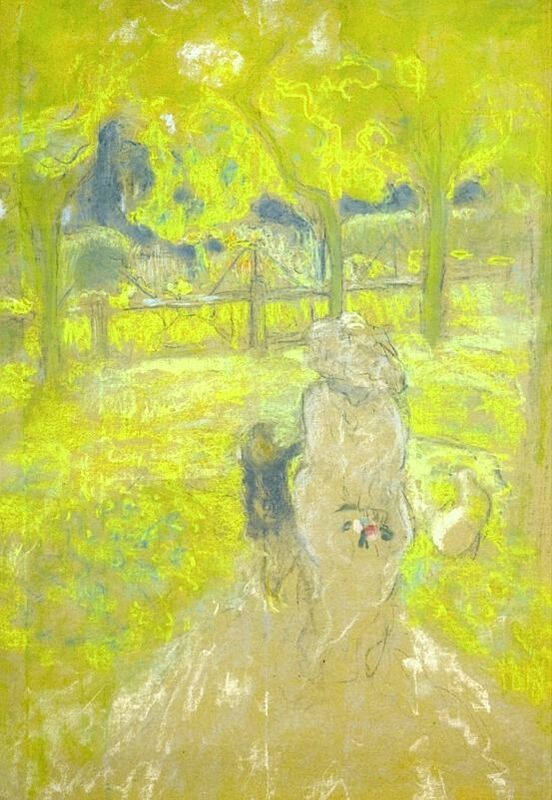 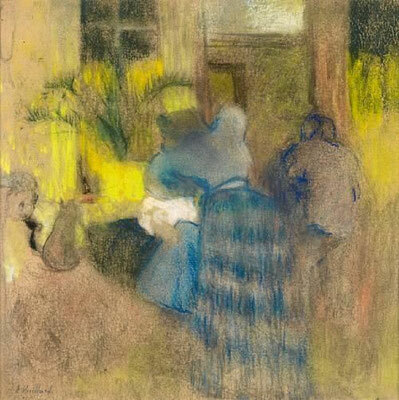 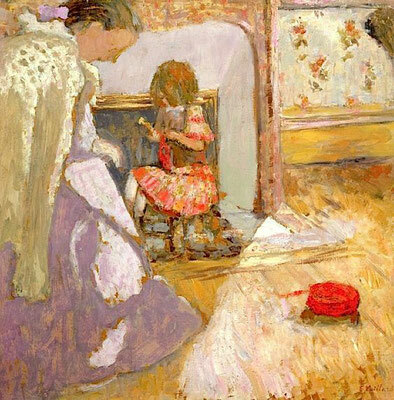 This is the second time Edouard Vuillard (1868-1940) is my Monday hero. 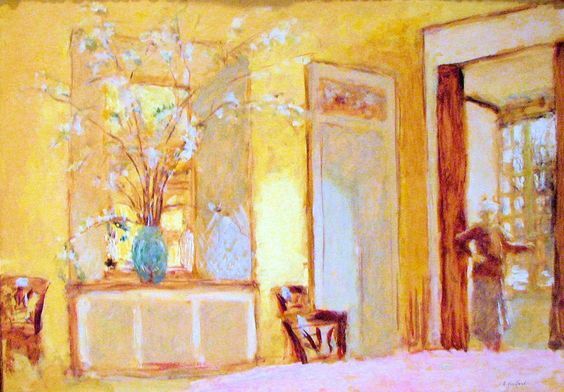 Some artists appeal to you because their work is similar to your own, others because they are so utterly different. 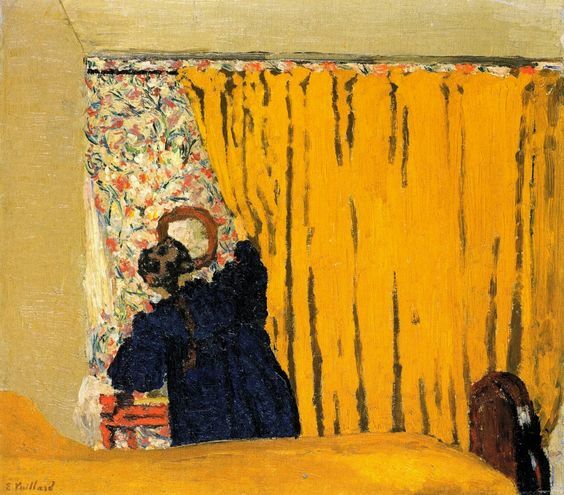 Vuillard's work appeals to me because I wish my work was at least a bit like it! I love the way background and subject look equally important, and I love it when he uses a rather restricted color palet, like in the sunny yellow works above.